The Inspiring city of Sarajevo was once again the host of the annual participant driven event of community boost_r Tech Camp. IPKO Foundation together with the winners of community boost_r challenges and non government organisations from Kosovo were part of this event. The Tech Camp hit a fast and informative start with presentations and workshops of the kind that gives the participants freedom and an engaged atmosphere.During two days of the camp the focus was all about Data: how to use data in accountability work, strategies for corruption monitoring, open (government) data and how can ICTs help in advocacy efforts. Better Community who presented their website which aims to inform citizens about public services while also offering them a place where they can raise their voice about everyday issue they face. Another aim is to raise transparency from government. 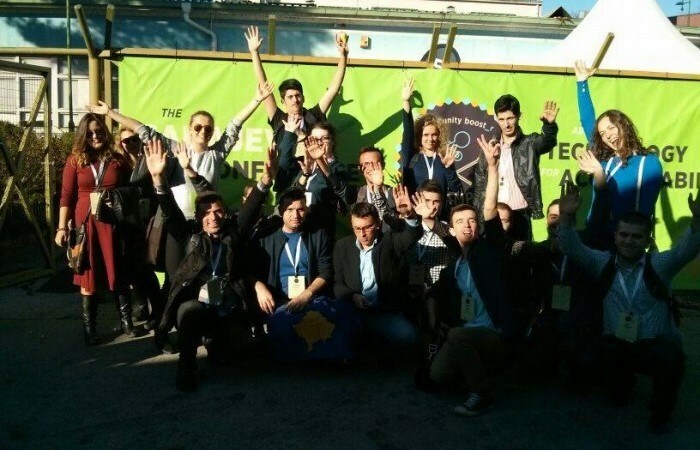 The team from Kosovo was made of interested participants who had their moments of idea sharing and presentations which were greeted from the audience and workshop classes with a really enthusiastic response. All in all, this conference was an outstanding event of new knowledge, networking and fun. Despite being lucky to visit a city full of history, Kosovo team had the chance to create contact with many successful people in the region. We are looking forward to the next year’s camp.